Is my roof strong enough to hold the weight of a Solar Edwards roof-mounted solar hot water system? Generally yes. The roofs of most homes will easily support the weight of a Solar Edwards roof mounted solar hot water system. We will however inspect your roof at the time of quotation to ensure there will not be an issue. Solar Edwards solar hot water panels are made in Australia using specialised toughened glass that is designed to withstand most hail storms. In the unlikely event of damage your household insurance should cover replacement costs. Please check with your insurer for coverage. Why is my Booster on a timer? Does my Solar Edwards solar hot water system need regular servicing by specialists? No, your Solar Edwards on-roof solar hot water system is constructed of stainless steel and does not require regular servicing to replace sacrificial anodes. 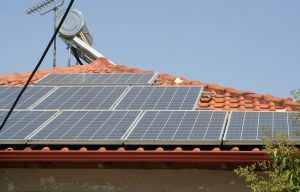 What should I do if I notice a problem with my solar hot water system? Please contact us as soon as possible so we can discuss the problem and if necessary send a technician to rectify the problem.